The 2019 Ford Fiesta ST-Line is now available in the United States. That sounds more impressive than it really is, though. This is a cosmetic exercise that has nothing to do with performance. The new Fiesta ST-Line is a last blast for the subcompact that is expected to end production in May 2019. A Ford spokesperson told Autoblog it’s also a test of sorts to see if the ST-Line would be popular in the United States. 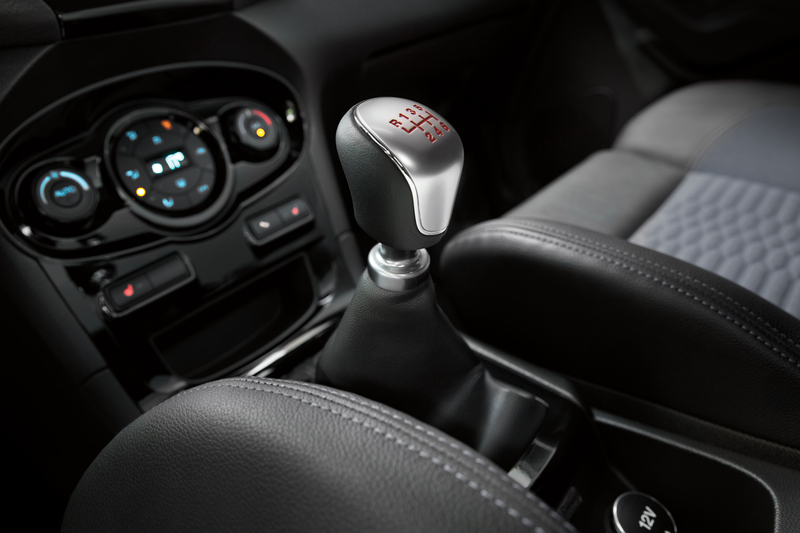 What you need to be aware of is adding the word “line” to ST negates all the appeal of the hot hatch 2019 Fiesta ST. That comes with a 1.5-liter EcoBoost all-aluminum engine with an integrated exhaust manifold and both port- and direct-injection, capable of producing up to 197 horsepower and 214 lb-ft of torque. Ford figures that’ll be enough to scoot the Fiesta ST to 60 mph in 6.7 seconds. The Fiesta ST-Line being offered in the United States is nothing like that. It has a body-color rocker molding and a blacked-out roof, plus large rear spoiler and mirrors, along with a honeycomb grille and rear fascia insert. 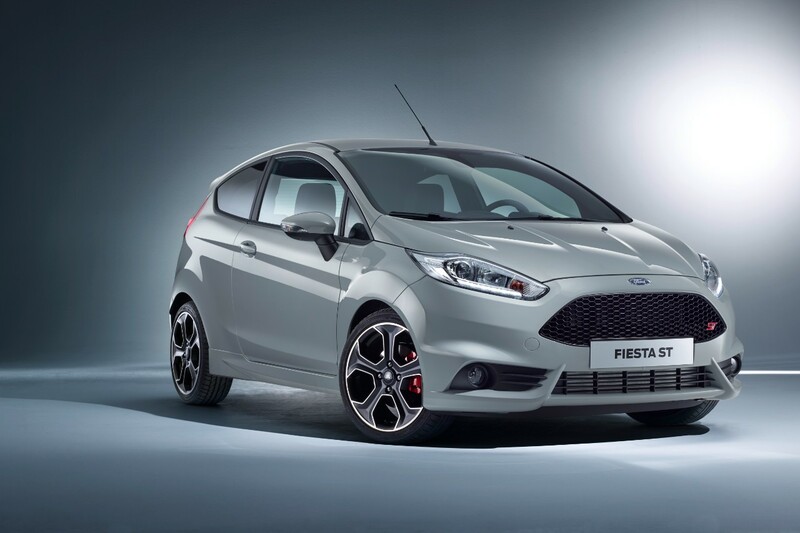 Other exterior features for the Fiesta ST-Line are dual chrome exhaust tips, 16-inch black alloy wheels and ST-Line side badging. Inside, you will find sport cloth seating with red stitching and an ST-Line embroidered logo, metallic inserts in the pedals and shifter, and a leather-trimmed steering wheel. A series logo scuff plate and cloth mats with red stitching are standard. This marks the first time Ford will offer an ST-Line model in North America, and it will have a base MSRP of just $17,625 – nearly $4k less than the $21,340 Ford Fiesta ST. Of course, that $3,715 means the difference between having a genuine, performance-engineered ST model and an imposter. ST-Line buyers will have to make do with a normally aspirated 1.6-liter four-cylinder engine (the ST’s 1.6L is turbocharged), smaller wheels, a five-speed manual transmission (in place of the ST’s six-speed) with a six-speed auto option, and perhaps most devastating of all, no ST performance suspension. 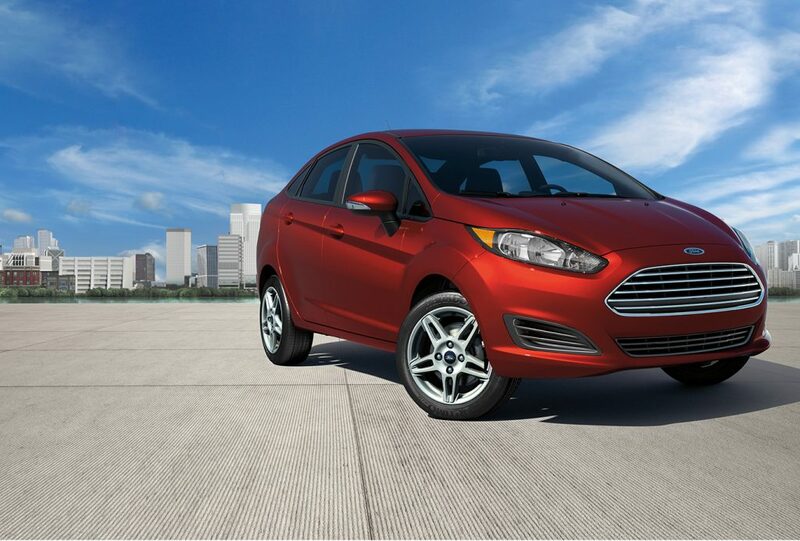 Stay tuned to Ford Authority as we bring you the latest Ford news and Fiesta news.